Motorcycle club princess Amber Bennett is the last person I’d expect to see at a club like Howl. She’s flirting with some dangerous people, and it’s my duty to step in and protect her before she gets in over her head. Like I don’t have enough on my mind without cleaning up Amber’s drama. Besides, she’s the definition of off-limits. If only she weren’t so f***ing hot. And determined to take care of everything herself. And oddly vulnerable. Because when we cross the line, I’m forced to choose between my true family—or my true feelings. Being the daughter of a True Brothers MC member doesn't get you the answers you are looking for. All Amber wants to know is the scumbag who killed her father last year has paid for it. But the members will not tell her anything, so she is going to find the answers herself. She ends up at the club of the Russian Mafia and it is too late when she realizes that she should not be there. When the brothers from the MC show up, she is whisked out of the office. It makes her so mad when they take over every situation. Bam is a True Brother and is all too eager to protect Amber. She is a club princess and that means she is off limits to him. But he will protect her with everything he has, including his life. The more time he spends with her, the more he sees her true colors, she is independent, strong, vulnerable, and so hot. They find themselves drawn to each other, but will they cross that line? Bam could lose his club brothers, the only family he has left, is it worth it? Is this true love or just lust? I love a good MC story and each book seems to get better with each brother, but I think Bam and Amber are my favorites so far. If you are looking for a good MC that will have you guessing what happens next, then you need to read this series. I love it and can't wait to see what the next book is going to be about. Fourth in this series and this is Hunter's book, aka Bam Bam. After the brutal murder of Stitch in the parking lot, Stitch's family is a bit left behind by the True Brothers MC. Amber, Stitch's daughter, is seeking retribution and closure for her father's death. She starts stirring up the club and the Russian bratva for answers on her father's killer. Bam ends up having to protect Amber after the Russian's son takes an interest in her. Realizing that Stitch's family has been forgotten about, Bam makes sure the brothers start helping them out again. In the meantime, Amber, who swore she'd never get involved with a biker after her dad's death, finds she's drawn to Bam in all the ways she wishes she wasn't. The two start out with a bit of a love-hate thing that turns to lust. But Amber isn't someone the club will just let Bam "play" with, he has to claim her or leave her be. Bam having to choose between Amber and his brothers, who are his only family, made for good reading. I enjoyed Bam's character a lot and Amber grew on me more and more. I can’t say this was my favorite and it felt a bit rushed at the end with an odd ambush by the rival gang. Also, a death that ties things up for Bam and Amber nicely but felt forced to me. Amber having to decide if she wants this MC life and all the violence and uncertainty is done nicely though and I felt for her and her mom in the end. I didn't find any set up for the next brother in book five but I'm in for the next one. This is a great read – definitely has a bit of a slow start but really picks up after the first few chapters. The hero in this book, Bam Bam, is probably one of my favorite characters in a long time – he’s swoon worthy. 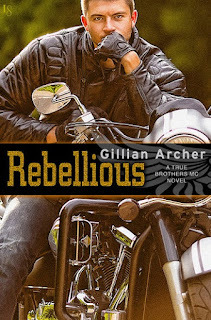 Amber’s father was president of the True Brothers MC until he was murdered. Now, Amber wants nothing to do with the club as they’ve pretty much turned their backs on her and her mother, plus they’re not willing to give her details on her father’s death. On a mission to ensure that the man that killed her father was “properly taken care of,” Amber winds up at a bar owned by the Russian mafia and their scary leader, Ruslan, takes immediate interest in her – Bam Bam swoops in and gets her out of there. When Bam Bam realizes that Amber’s family hasn’t been taken care of since her father’s passing, he makes it his personal mission to change that, while also keeping her safe from Ruslan and keeping his growing feelings for her tamped down. Though I loved Bam Bam’s character and he was my favorite, Amber’s character was also pretty great. She’s fierce, determined, and won’t let anyone get in her way when she’s on a mission. When she and Bam get together, they light the pages on fire with passion. This is my favorite book from the series so far. The absolute only thing I didn’t like about it was that I feel like an MC would never “forget” about a previous president’s family like they did Amber’s – on that same note, it’s definitely made up for. 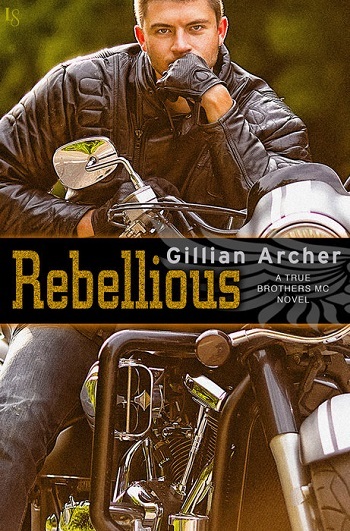 I think this is the first MC romance I’ve read (and I’ve read a lot) that the male was willing to give up his club for a woman – it was a refreshing change. I’m looking forward to more from Gillian Archer! 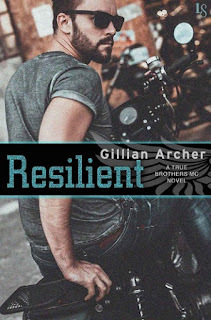 For reviews & more info, check out our Resilient post. Gillian Archer has a bachelor’s degree in mining engineering but prefers to spend her time on happily ever after. She writes the kind of stories she loves to read—the hotter the better! When she’s not pounding away on the keyboard, she can be found surfing the couch, indulging in her latest reality TV fixation, or baking something ridiculously tasty (and horrible for her waistline). Gillian Archer lives in the wilds of Nevada with her amazing husband, gorgeous little girl, and goofy dog. 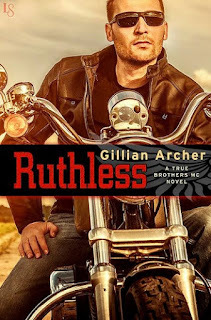 Reviewers on the Wicked Reads Review Team were provided a free copy of Rough Ride (True Brothers MC #4) by Gillian Archer to read and review.